Despite historiographical overtures to the global, and spirited polemics decrying area studies’ analytical limits, something called South Asia and another thing called the Middle East persistently structure—and stricture—scholarly inquiry in the academy and beyond. Accounts of Indian or Arab intellectual production in the nineteenth and twentieth centuries often confine themselves to non-European confrontations with European epistemologies, capital, and guns. 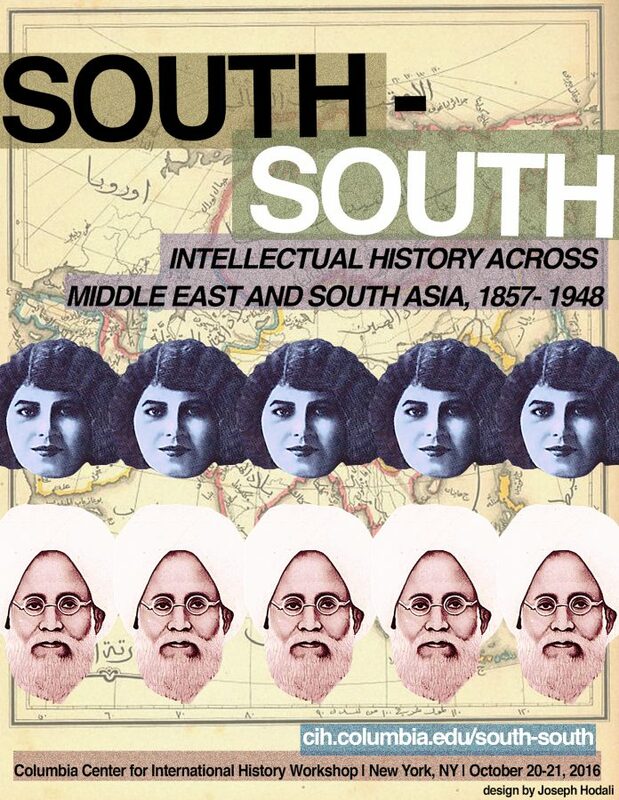 With the critiques of Orientalism, modernization theory, and Westernization having complicated triumphalist narratives of this encounter, serious attention to south-south intellectual histories remains rare. Early modernists are often the most cogent critics of the modernist scholars’ Eurocentrism, tracing connections between the Middle East, South Asia, and elsewhere that bypass Europe. Yet Europe’s hegemony in the modern world’s political economy and imagination did not preclude profound inter-connections between the non- European world. In fact, the conditions of global European capital made new engagements between the colonized and peripheral world necessary. The workshop aims to raise a set of interdisciplinary historical, historiographical and theoretical questions: What kinds of significant geographies are produced, traversed and imagined in the nineteenth century and after between the Middle East and South Asia? Does the presence of a shared Islamicate past adequately explain Indian and Arab Muslim affiliations? How are the Jewish, Christian, Zoroastrian and Hindu intellectual communities part of this Islamicate? How is modernist thought or critiques of secularism or theories of anti-colonialism related in this unwritten history of Asian intellectual interaction? What role did political economy of colonialism play in restructuring the conditions of the early modern’s “connected histories”? What new networks of intellectual exchange and new patterns of racialization emerged? How do we historically recuperate these South-South histories without succumbing to the follies of the post-colonial states? Location: 411 Fayerweather Hall which is located on the main campus. The directions to the building are found in the following link. Location: 501 Northwest Corner Building which is located on the main campus. The directions to the building are found in the following link.